Or 6 payments of $375.00 What's this? 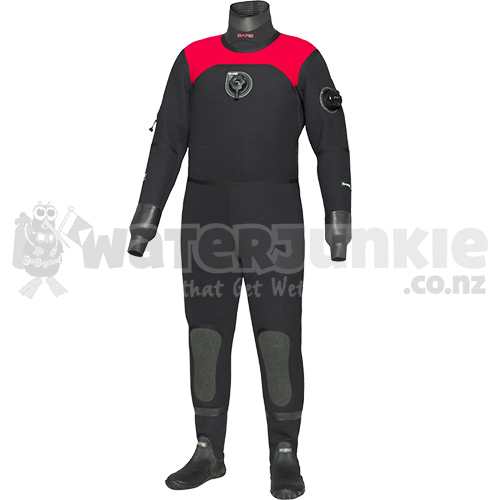 For over 10 years this suit has delivered the ultimate performance and durability and has become a favorite among sport and commercial divers. Now offered in and HD version, this "workhorse" comes standard with a metal dry zipper and extended Kevlar® knee pads for added durability and protection. Now with wider HD seam tape to keep seams strong and leak free for a lifetime of use.